There’s truth in the idea that life on earth revolves around the “survival of the fittest.” When the weather gets too warm or cold, animals find a way to survive. How? 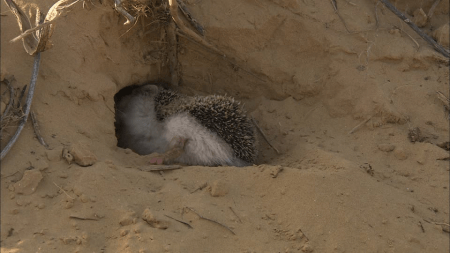 Many people think that all animals “hibernate” to acclimate to extreme weather conditions. Contrary to this popular belief, not all animals hibernate. Some animals estivate or go on torpor to survive. So, what is the difference between estivation, torpor, and hibernation? Read on to know. Estivation, also called “aestivation,” is a strategy used mainly by desert and tropical animals to get through an extremely hot and dry weather. To survive, animals dig into the ground where they remain idle and cool. In doing so, they decrease their metabolic activity, save energy, conserve water in their bodies, and protect themselves from dying due to intense heat and dryness. Some creatures that estivate can rapidly return to their normal condition when there is a need to. Certain snail species can go back to their original state after only ten minutes of estivation. However, some animals are capable of estivation for long periods of time. Lungfish can estivate for as long as three years by coating itself with mucus that preserves the moisture inside its cocoon when it is dormant. Lungfish is also a primitive fish that still has lungs so it can breathe without water. Other animals that use this technique include crabs, lemurs, crocodiles, and desert hedgehogs. “Daily torpor” may happen any time of the year and does not necessarily occur during the winter or summer. When the animal is not torpid, its body temperature and metabolic levels are normal. These levels drop during a certain time of the day (usually at nighttime) to save energy, typically driven by ambient temperature. Animals that go on daily torpor are dormice, birds, marsupials, and bats. Hibernation is a tactic used by an animal to save energy, get through food scarcity, and survive extreme cold. When an animal hibernates, it goes through a “deep sleep”: its breathing and heart rate slow down and its body temperature goes down for a relatively long period. Because it is a “deep sleep,” returning from hibernation may take a few hours. As preparation for the hibernation stage, animals accumulate fat in autumn. The stored fat will be used when the temperature gets colder in the winter. Hibernation is not a continuous process. Some animals may wake up from hibernation to eat, drink, or clean themselves, and then go back to inactivity. Some animals may hibernate anywhere from a few days to several months. Common animals that hibernate are bears, mouse lemurs, and ground squirrels. What, then, is the difference between estivation, torpor, and hibernation? Estivation is a state of inactivity that desert and tropical animals go through to survive extremely hot and dry weather. On the other hand, torpor may happen at any time of the year and is driven by ambient temperature. Hibernation is a stage where animals hide and conserve energy to survive extremely cold temperatures. Estivation can last for a few days to several years depending on the animal species. Torpor, or “daily torpor,” is “light sleep” and may occur for only a few minutes or hours during the day. Hibernation lasts for longer periods, although it may not be continuous. 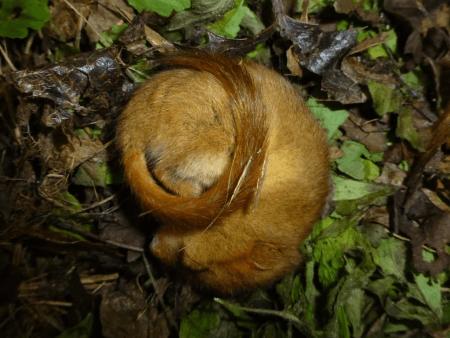 Estivation and hibernation are voluntary while torpor is involuntary. Some animals have the innate capability to go on torpor.